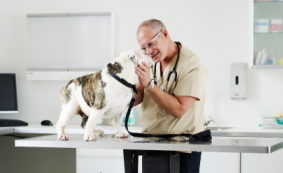 Do Dogs Need Booster Vaccinations? There is quite an intense debate amongst dog owners and the animal health profession about the topic of annual booster vaccinations for dogs. Some say they are an integral part of being a responsible dog owner. Others argue that they are not only ineffective, but can actually do more harm than good. So today’s Dog Chat hot topic asks: do you think that dogs need annual booster vaccinations? Have your say in the comments below. We look forward to hearing your views. I only do the rabies booster and that's because its law to get them licensed. After the baby shots are done I do NOT do boosters. Once you are immune to something how much more immune can you get? And there is always a concern about cancer developing at the site of the injection.